Billy Meier’s story has prompted a great deal of research into his claims, both by skeptics and those within the UFO community who expected to confirm his reports. What was discovered is that the Billy Meier story actually represents the biggest UFO hoax in history. Upon close examination it was discovered that not one of his alleged photographs were original prints, but all had been airbrushed or otherwise altered. Models of some of the spacecraft seen in his photo’s were found in his house. In one video of an alleged flying saucer, the spacecraft can clearly be seen to be swinging pendulum style as if it were suspended by a wire. The photograph of an alleged Pleiadian alien was discovered to be a photocopy of a model taken from a Sears Catalog. Under close scrutiny, all of Billy Meier’s alleged evidence has been shown to be false. Yet, Billy Meier’s claims survived for many years within the UFO community, being touted as the best evidence for the reality of alien visitation. There are still those who will not admit the entire case is a complete fraud. Meanwhile, Meier has made a great deal of money from the sale of his book and other material in which he discusses his hoaxed contact with aliens. Billy’s first sightings of this phenomena began when he was a small boy of five with his father when they lived in Bulach on the German border. That happened on June 2, 1942. It was only a sighting, but he knew then that this whole thing was different, though he was unaware at that young age that he had accepted an “arrangement” before his birth. His was a chosen destiny of contacts which was to give him no peace in this life. From then on he could often see “traveling stars” when he looked up, mostly at night but sometimes in daylight too. He distinguished these from the others because these were sometimes larger and sometimes smaller, and these stars made abrupt turns, flew zig-zag patterns, and they sometimes just stopped in space. Remember there were no satellites in those days. Then in late Autumn of the same year, Meier saw a bigger ball-shaped flying object traveling at slow speed. It slowed more and began to slowly descend. gently it came down, its metallic spherical shape clearly visible. Then, all of a sudden, it just disappeared without making any noise. The sightings became more frequent until he began to hear a voice in his head and saw pictures. In November that same year, shortly before his 6th birthday, he saw a pear-shaped object suddenly drop from the sky, and settle gently on the meadow grass in a woods near their home town of Bulach. An old man took him into the ship and high above Earth, then brought him back to the same meadow and let him out. The ship then shot up vertically at high speed until out of sight. More sightings and communications continued until his 7th birthday on 3 February 1944, when the voice became more personal and told him to work hard from now on as he would be given knowledge in this manner. The speaker identified himself as SFATH, the old man who had taken him aboard the pear-shaped machine earlier. Six months later, in the Summer of 1944, Sfath returned in the silver pear-shaped flying object and picked him up again for a four hour session on his destiny and thatof his world in his lifetime. A helmet appliance with many wire leads attached was used for this inculcation process. He was able to see and hear overwhelming things and was imparted a great deal of knowledge and told of events to come, much of which he did not understand at the time. Meier was returned to the pick-up site and the ship disappeared straight up at high speed until it was out of sight. Only a few hours after that experience a new voice began to speak to him telepathically. This one was young, strong, and full of energy. It was female and told Meier he could call her ASKET, and that she would be his contact now. Asket communicated with him regularly from then on, and imparted more phenomenal knowledge, and then guided his destiny to give him certain experiences in the next few years to temper him for what was to come. It was she who made it possible for him to travel his world, and it was she who led him into and through his trials and many tests to give him the experiences he would need. Asket told Meier that her origin was in what she called the DAL Universe, incredibly a counterpart Universe to this of our reality. She said that our universe existed because of hers and hers because of ours. We were related in some way because the two separate Universes had a common origin, and that each existed because of the other and if one ceased to exist, the other would likewise cease to be. There were other universes involved also which further complicated the situation. An oversimplification would be to consider one an anti-matter counterpart of the other. This concept is not entirely unheard of, and has been treated extensively in science fiction. Even orthodox science is recently discovering anti-matter and opposite realities. Fritjoff Capra discussed the scientific basis for these opposing realities extensively in his Tao of Physics, and showed that matter equations simply do not work out without taking into account the opposite or anti-matter aspect. The Feinman diagrams used to explain particle reactions in high energy physics demonstrate this process well, and they are found to be completely reversible. When matter is theoretically annihilated in an acceleration chamber, same of it is only changed into its opposite aspect and disappears from our reality into that other. Balance is maintained by an exchange of energy in the form of heat or light. After a UFO experience many years ago, Anthony Seratites, a Dow Chemical engineer, was suddenly awakened to a new concept of matter and energy, being shown, way back then, that there is no ultimate particle in physics as it was being taught, that what appears to be protons, electrons, gluons, muons, quarks, neutrinos, etc., and all their invisible to us anti-particles, are nothing more than photon quanta organized in different ways. The photon quanta are not visible until they become organized into something, and they can just as easily become organized into an anti-something from our point of view. He visualized a photon quanta as part of a wave. It had vector and curvature, curl, or spin. He discovered that the vector could be reversed by simply inverting the curve, or the curve could be reversed by turning it over at 90 degrees to the other axis. In either case, its accumulation into matter was the same but now opposite or anti-matter. Seratites’ diagram of an electron alone had same 228 parts. He spent years developing his concepts and diagramed many atoms in a book titled The Structual Nature of Matter and then went on to diagram more atoms and same molecules in another volume called The Universal Feld law and The Universal Law of Creation of Mass and Energy both by Anthony D. Seratites. What he learned was that matter can be instantly converted to anti-matter by simply inverting the quanta, which changes its direction of spin, and that they mutually repel each other and do not seek to cancel out. The anti-matter world is no more rare than the matter world, as they are one and the same in different aspect. There is as much anti-matter as there is matter and they balance. Seratites is best known as the inventor of Seran-wrap, the thinnest, lightest, strongest, and most vapor resistant of all films up to that time, and it was a product of his new ideas about chemistry coming out of his new physics. He may someday be recognized as the father of the renaissance in physics. He was not alone in these new concepts though. Wilbert B. Smith, B.A, M.A., former head of the Canadian Department of Transport’s Project Magnet, entertained similar ideas as he developed what he called his Quadrature Concept, which was published after his death in 1962 The New Science, authored by him. He too found that there is no ultimate physical particle; that all is the result of awareness within the creative consciousness. Simply awareness in the Tempic Field of the Creative Consciousness produces vector and curl. That vector and curl is equivalent to a photon quantum, which is the result of awareness impinging on the Tempic Field of the All. Simultaneous with the action of vector and curl comes the reaction of vector and curl energies in the opposite directions, resulting in opposite manifestation maintaining the balance in the all. The ultimate result in the physical world is observed as matter and antimatter. He also concluded that nothing more than awareness impinging on the Tempic Field of the All Consciousness was the actual first cause, and the origin of the photon and ultimately matter. Matter is nothing else than the final stages of thought manifest, with energy someplace in between. Wilbert B. Smith became a UFO contactee in 1954 and carried on extensive dialogues with the extraterrestrial friends visiting him. It was from these dialogues that he evolved his Ouadrature Concept to explain the then unknowns in physics, and came up with ideas very similar to those of Seratites but expressed in different terms, in which the anti-matter reality was the essential balancing part. Then in 1960, before Asket picked Meier up in Switzerland, a South African electrician, Edward F. White, began to have contact with extraterrestrials who told him they came from an anti-matter or counterpart universe. When they learned to navigate the polarity barrier between the two universes, they were amazed to discover our life and existence, similar to theirs, in opposite reality, and over time established contact across the barrier and learned to navigate and explore their antimatter counterpart–our phenomenal universe. They also learned to communicate across the barrier and maintained contact with the Earth man by electromagnetic means, which they carried on for over 25 years. During that time, over 1,000 hours of verbal dialogue was recorded on audio tape and preserved. These experiences are reported in a 305 page illustrated bookUFO Contact From Planet Koldas: A Cosmic Dialogue by Carl Van Vlierden. But Eduard Meier knew nothing of this at the time of his contacts with the DALs who claimed a counterpart universe origin. All he knew was that Asket was telling him that her DAL Universe was the opposite of ours, and that her people had learned to navigate what she called the “Time Barrier” time in this sense being the kind of vibrations or kind of reality in which they normally existed. The DALs discovered the Pleiadians before Earth and learned to get along with and to work compatibly with them, who were already freely traveling in space. The DALs shared their technology with the Pleiadians which then allowed creatures of our universe to visit the DAL Universe in Pleiadian ships. The DALs discovered Earth through the Pleiadians and their interests here. Sfath was a Pleiadian who handed Meier over to Asket for development and preparation for a future Pleiadian plan. The DALs had an active Earth project going on at that time. Meier was picked back up in a Pleiadian mission in January 1975 with the renewed overt contact with him some time after the last of his preparation by Asket. Upon establishing telepathic contact with Meier, Asket took over his education and preparation where Sfath had left off. It was she who led him through a series of adventures designed to toughen him for the adversity to come. It was she who led him through Africa and the experiences in the French Foreign Legion, the Desert Caravans, the slavers, revolutionaries and bootleggers; into the hands of the pirates of the Arabian Sea, and across the Indian Ocean as a sailor with the freighters to the sub-continent of India. It was Asket who by subtle influence guided Meier through most of the religions of Europe, Africa and Asia, joining them one by one in turn in his own search for a belief system acceptable to him. 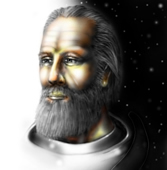 Unknown to Meier consciously then was Asket’s subsequent statements to him, also later confirmed by Semjase in the Pleiadian contacts, that he was once an IHWH, a Pleiadian expeditionary to Earth, with one of the several earlier occupations of this planet by ancestors of the Pleiadians. He at that earlier time enjoyed his superior status and the obedience of and exploitation of the primitive Earth humans. His activities at that earlier time brought him subsequently into Earth incarnation as one of the Terrestrial primitives experiencing the oppressed side of the exploitation, but in his soul he knew the other side as well, even in those ancient days, and he inspired rebellion against the oppressors and a movement toward awareness of The Creation as the underlying source of being for all (within which even the IHWH had their limits). He became a leader of this silent rebellion, and his name then is recognized today as one of the prophets of the Old Testament. He incarnated again later as another to continue the work, and even again after that, more than once, for the same purpose, including his present Mission , now an Earth man. He was often guided in his activities, over the centuries. by those seeking to help the Pleiadians correct their mistakes, which in present time took the form of the DAL extradimensionals, and Asket in person. This is why in Asket’s preparation program (for this mission) he was led through all of the world’s great religions, one after another, to learn them thoroughly. This is another reason why he was led away from formal education at a young age. It was reduce the contamintion of concepts by the orthodox Earth level and beluef systems. He was severely tested, physically and mentally, to toughen him for the trials of this mission. He actually experienced most of the principal Earth religions today, from the inside, all of which, according to his information, are descended from the less than benevolent Pleiadian extraterrestrials of that ancient past. This is one reason for Meier’s harsh challenges to the fundamentalist beliefs, much of which we have edited out of our version of the Pleiadian Contact Notes, but which may be read in their original German language by those so interested. We are pretty sure that this information will not be well received, because the entrenched orthodox beliefs are still here, though now being exploited by Earth men for their own gain. Knowing this and revealing it has become a great danger to our contactee and many of those associated with him. Because of these previous contacts with the DAL extradimensionals and his awakened awareness, Eduard Meier was not entirely surprised when the contacts with Semjase and her team – reformed IHWHs – began, although it came earlier than expected. This is also another reason, and the real one, why these contacts could not be expanded to include just any other Earth humans, or be transferred to somebody else. There are however, others, like Eduard Meier, who are here doing similar things for similar reasons, but their missions are equally impossible to transfer to another. Eduard Meier has been given adequate proof of the validity of all these things, but he is not permitted to use it to persuade any other human being against his own will. Meier’s primary instrument of validity is the collection of certain photographs of the extraterrestrial spacecraft which will never be duplicated. We may add here that there are photographs which have also been prepared as an “escape”, if and when that should become necessary. Meier also has freedom of choice in how he treats this whole thing. He is not bound in any way and may get out any time by an act of will, but, they warn, if he does, it is forever…a step that he hesitates to take because so much of his past is bound up in this. A Crystalinks reader – wrote and asked me about the Henoch Prophecies. Though I had never heard of them – my first reaction was – they are ‘more of the same’ – predictions about global changes if we do not change – change is inevitable – more channeled information given by Z using a different name and persona – to create a grid harmonic of balance – Henoch being a pseudonym for Enoch. A google search produced the following information and took me on a trip down memory lane. The Henoch Prophecies are linked to the Billy Meier Contacts in Switzerland. Billy Meier was born on February 3, 1937 in Bulach/Zurich, Switzerland. He had his first extraterrestrial contacts at the age of 5 – [1942 to 1953] – with the Sfath who were from Erra / Pleiades/Plejaren. From 1953 to 1964 Meier’s contacts were with Asket from the DAL universe. 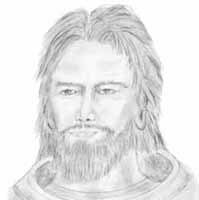 From 1975 to 1986 his contacts were with Semjase, her father Ptaah, and Quetzal. Semjase is about 1.7 meters (5.5 ft.) tall and is a slender, young, pretty woman with fair skin, sparkling blue eyes and light-blond hair. Her very long and somewhat forward-placed earlobes form a special distinguishing feature. This is the only anatomical difference compared to Earth women. Due to her exceptional knowledge, which far exceeds the average of her home population, she has assumed the rank of half-Jschrjsch, which means a half-queen of wisdom or a half-goddess, as they were called earlier on Earth. 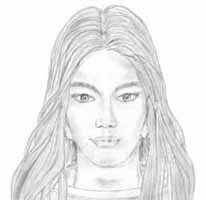 Having occupied herself with various matters on our planet years before taking up contact with Billy Meier on January 28, 1975, she was considered by some as the best extraterrestrial concerning our situation on Earth. During the period from February of 1965 until June of 1973, she stayed in the DAL-universe with Asket’s people. After her return from the DAL-universe to Erra, she came to Earth in July of 1973 and continued to carry out the task she had performed here earlier in a hidden station. The First Contact with Billy occurred on January 28, 1975. In November of 1984, Semjase finally had to leave Earth for medical reasons. Her field of work was exclusively restricted to the European area. She had no authorization whatsoever to become involved in any matters of, or establish contact with, any Pleiadian work groups on Earth outside of Europe – neither in America nor Asia. Unfortunately, on December 15, 1977, she suffered a life-threatening accident in the Semjase Silver Star Center in Hinterschmidruti and had to be taken to her home planet of Erra [mistake?] immediately for medical treatment and rehabilitation. In May of 1978, she returned to Earth and resumed her contacts with Billy until March 26, 1981. From March of 1981 until the end of January 1984, she was again absent because there were other duties she had to fulfill. On February 3, 1984, the very last contact took place between Semjase and Billy. As an after-effect of her accident on December 15, 1977, she suffered a cerebral collapse in the beginning of November 1984 and was transported again as quickly as possible to the DAL-universe where she was healed by the help of Asket and her friends, the Sonaer. Her father, Ptaah, explained that the complete regeneration of her brain and all psi-powers, abilities and memories lost during her collapse would presumably take about seventy years. During this period, Semjase will spend most of her time in the DAL-universe, and it should be noted here that it is absolutely impossible for Semjase to communicate by mechanical or telepathic means with anyone here in our universe. The only way one could communicate would be to travel to the DAL-universe. Semjase was married but tragically lost her husband after she had been wed for only seven years. Her spouse had participated in a research expedition in a foreign galaxy. At that time, approximately 200 years ago, they did not know the hyperspace technology. Of the two research ships dispatched, only one returned home after eleven years, whereas the other, with her husband aboard, suffered control damage and crashed into a sun. Their marriage was childless. The Pleiadians / Plejarens and their confederates are human beings with physical bodies and look very much like the people on Earth, with the exception of some minor anatomical differences, especially regarding the confederates. They live for 1,000 years, approximately. Their home planet – somewhat smaller than Earth – is called Erra. Its population is about 500 million people, while the entire federation has a population of 120 billion. The Pleiades / Plejaren are not identical with the Pleiades we can see on the night sky. They are 80 light-years beyond the Pleiades in another space-time configuration (another dimension). The Pleiadians / Plejarens’ consciousness (“spirit”) and technology are much more highly developed than here on Earth. The Pleiadians / Plejarens and the people on Earth have the same ancestors, but have developed separately. Quetzal stand 1.9 meters (6.25 ft.) tall, has blue-gray eyes and light brown hair. He is the father of six children. During the 11-year contact period (1975-1986), Quetzal was Commander of all Pleiadian / Plejaren stations in our SOL-system. According to Billy Meier, Quetzal possesses enormous abilities, especially in the field of technology. He is also quite a distinguished inventor who has invented and constructed several very useful devices for Billy and FIGU, which have been of great use in the fulfillment of their mission. Regarding various concerns and problems on our earth, the four contact persons, Sfath, Semjase, Quetzal and Ptaah, have been extraordinarily willing and active in the fulfillment of their tasks. This Website references conversations with Quetzal – which could only be Quetzalcoatl in another program insert which takes us to 2012 prophecies – 2012 as our final destination or code designation – 2 – twin DNA spiraling us back to our twin aspect – to become 1 with self at zero point. It’s all sacred geometry and the ‘golden mean’. The Henoch Predictions are predictable – as we have read so much – and come far enough along to understand that they all ‘mean’ change is happening in our time line – no exact date – but 2012 occurs at the instant the time loop is broken —-> and we remove our consciousness from the 3D Earth grid. The messages are all the same about humanity shaping up its act or else!